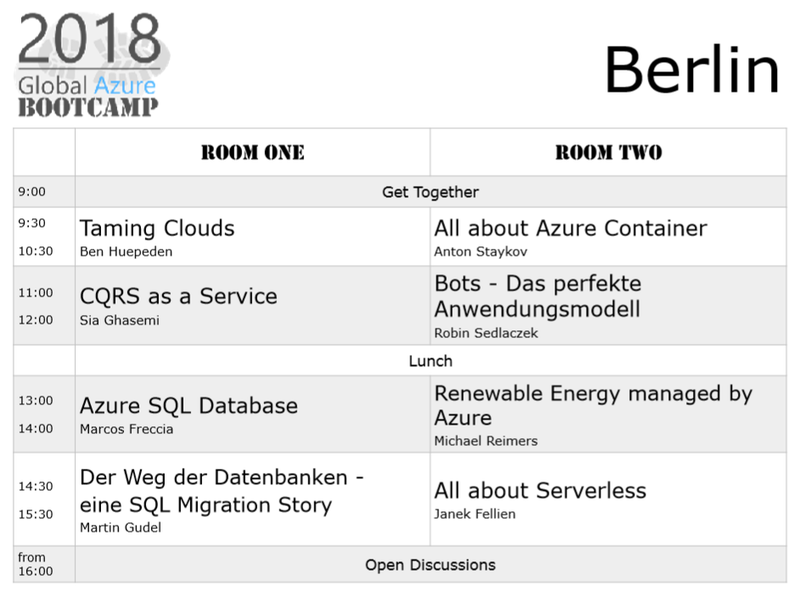 Janek and Benjamin just released the agenda for the Global Azure Bootcamp 2018 at Berlin. You may have noticed that I will have another talk on Azure SQL Database migration. We will do a quick walkthrough through different online and downtime migration scenarios. The talk is planned as a demo heavy basic recipe to plan your Do’s and Dont’s when migrating your database (services) to Azure. Cross the fingers the WLAN will not break before this session ended.